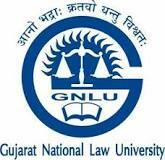 GUJARAT NATIONAL LAW UNIVERSITY, GANDHINAGAR and INDIAN INSTITUTE OF FINANCIAL SERVICES, AHMEDABAD have collaborated to offer education relevant to Financial Markets and Banking, beginning with a specialized diploma course on “FINANCIAL MARKETS & REGULATION”. The course has been designed keeping in mind the challenges posed by the growth and complexities of the financial markets in current times. The objective of the Program is to train managers, professionals and service providers to the financial services industry. The Program is primarily aimed at the legal and regulatory professionals to support the compliance function of financial market participants, as well as provide legal support required by them.The Financial Markets and Regulation Diploma is the First in a series of Legal and Regulatory Programs aimed at covering Banking, Insurance and other Financial Services industry segments as well. Diploma in Financial Market & Regulations (DFMR) aims at providing quality managerial & legal knowledge in the financial markets and the investment industry. Equip the participants with an understanding of the legal and regulatory framework governing the financial markets, including regulatory institutions, and all applicable financial sector laws and regulations. Develop an inter-disciplinary environment for the students to deal with the growing demands of the Financial Markets. Inculcate the cultural & ethical values among students necessary for the ethical practice of the legal and compliance roles, including a better understanding of the values enshrined in Indian Constitution. Final year registered Law Students of LLB FYC. Employees and Officials serving Market Participant Institutions in the Compliance function, such as Brokerage Firms, Banks, NBFIs, Investment Management Firms etc.